With an adjustable 19.6" - 20.8" (50cm-53cm) stride and 0°-20° incline range that alters the range of motion the Proform 7.0 also allows you to target a wider range of muscle groups than a conventional elliptical, providing the platform for an amazing all-over body workout. 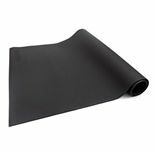 And, thanks to its 11kg (24.2lbs) flywheel and 22 levels of magnetic resistance your workout is guaranteeed to be smooth, quiet and comfortable. If Interval training is your preferred choice then the Proform 7.0 is your perfect training partner. Just program the ‘Work’ and ‘Recovery’ buttons to suit your own preferred level of intensity and you can instantly switch between a high intensity burst and then ease off to catch your breath before hitting the lung busting settings again, all at the touch of a button. In addition, there are 28 preset workouts as well as manual setting making it easy to add variety to your daily workouts to keep you interested and motivated. Not enough? Need more? No problem! The Proform 7.0 is compatible with iFit Coach BLE technology (requires subscription after initial trial) opening up a whole world of interactive training. Go for runs anywhere in the world using Google Maps or download your own personal training programme to maximize results. Compete against other iFit users, take on challenges and track your progress as you get fitter. The possibilities are almost endless and it’s all available at your finger tips in the comfort of your own home. 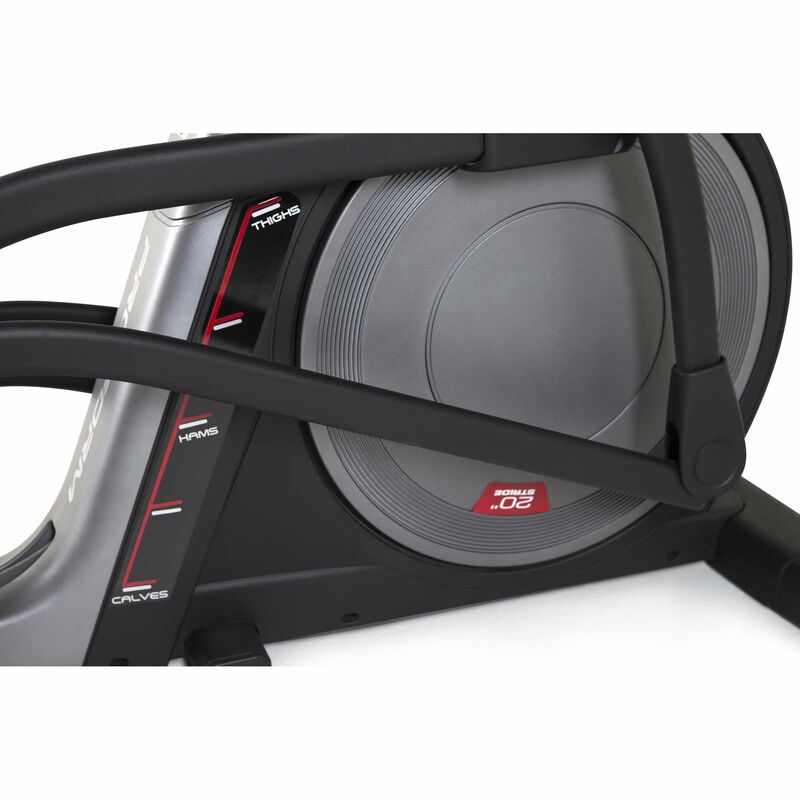 A fantastic elliptical at a price that offers truly outstanding value for money and an amazing workout experience. for submitting product information about ProForm 7.0 Elliptical Cross Trainer We aim to answer all questions within 2-3 days. 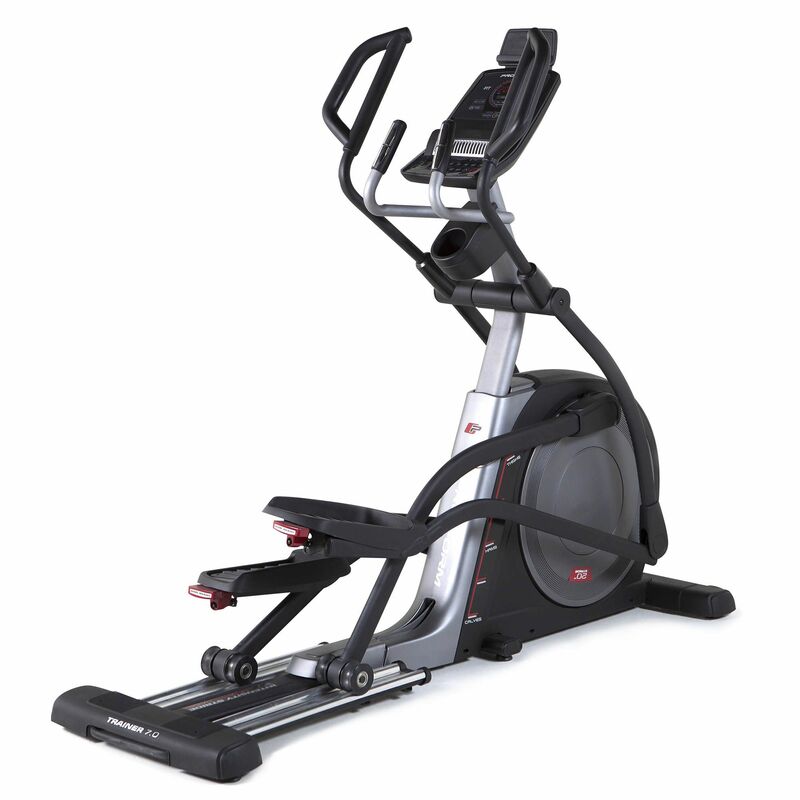 for submitting product information about ProForm 7.0 Elliptical Cross Trainer. We aim to answer all questions within 2-3 days. If you provided your name and email address, we will email you as soon as the answer is published. Hi, I was wondering how much head room is required in the room? Many thanks in advance. You would normally need 15 inches (38cm) headroom with the pedals at the central point (level). Maximum and minimum pedal heights are 52cm and 33cm (20.5" and 13"). I live in Cardiff. How quickly can you deliver this? Can we put this in the garage? I read somewhere that you're not supposed and it could invalidate your warranty. My husband is well over 6ft tall and I'm about 5.5 ft. Would be both be able to use this? Hi there. Yes absolutely. The 7.0 has an adjustable stride so you can adjust it via the incline mechanism to get a stride length that will work for you. Does this model fold away? No. The Proform 7.0 is a fixed elliptical cross trainer and cannot be folded. Is it safe to put this into an upstairs room? How easy is it to move from one place to another? Does it come with a chest belt or do I have to buy one separately? Hi. 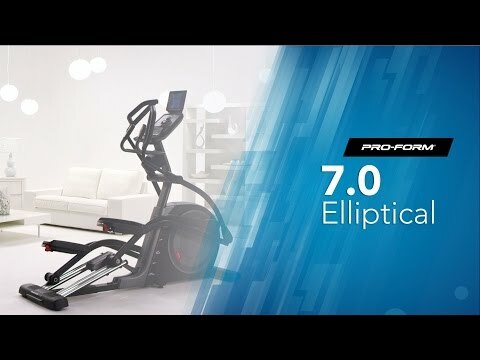 The Proform 7.0 is iFit Coach BLE compatible but you don't need an iFit module as it's Bluetooth Smart enabled meaning you can access iFit via a smart device and connect to the elliptical via Bluetooth. 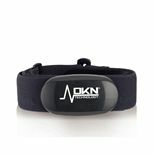 It is also compatible with iFit Smart Cardio application to give you access to the full iFit experience. The subscription to iFit is required after an initial trial. 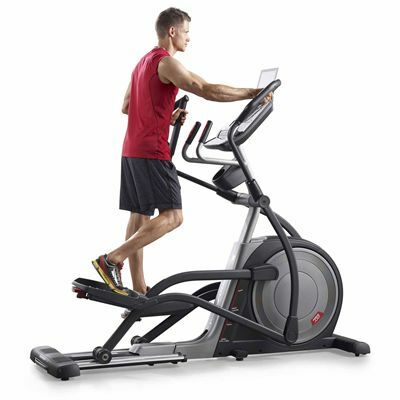 What type of chest belt works with this cross trainer? How easy is this to put together? Do you offer an assembly service? Hi. It's about as easy to put together as it's possible to get. Have a look at the assembly video shown above and you'll see for yourself. We do offer an assembly service if you're still stuck. Just give let us know that you need installation when ordering and we'll be happy to help. 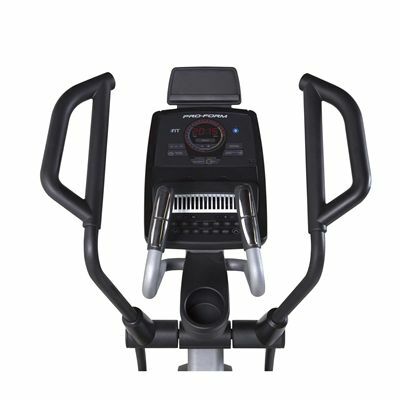 We're both in our 60s and in need of shedding a few lbs so we purchased this Proform cross trainer and so far have to say it's much better than we thought it would be. Delivery was within 2 days of placing our order and setting up the machine was simple. It's easy to use and tells you if you're working hard enough when you're using it and it's nice an quiet. Importantly it doesn't wobble around and feels really secure to use. Well worth the money and thank you to Rob at Sweatband who recommended this model to us. It's ideal! Delighted with this! It's a substantial machine that feels as stable and solid as the ones in the gym. Big, solid and easy to use. It's smooth and provides a great workout and has lots of programs. Couldn't ask for more. Super quick delivery. Not too bad to put together. Nice and quiet and doesn't wobble. Lots of features and I really like the power output display. Great value and would recommend. Delivery good. Ass0embly good. Cross trainer amazing. Delivered on time and without hassle. Easy to assemble. Very solid. Lots of features. Smooth and quiet. For a home cross trainer this is really good quality and not that far off what we're used to in the gym. v happy and would recommend. 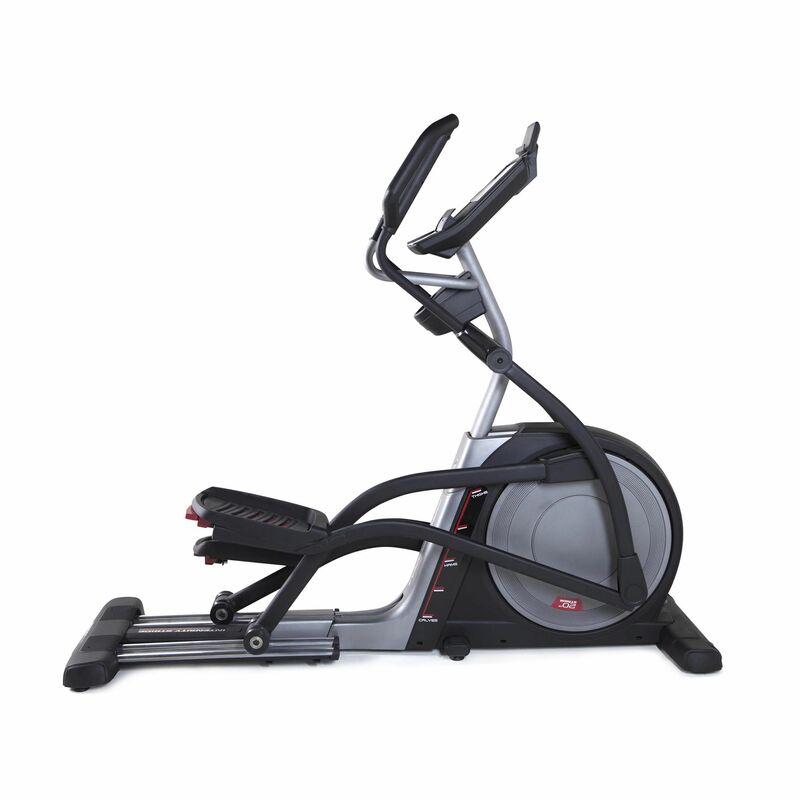 for submitting product review about ProForm 7.0 Elliptical Cross Trainer.